The National Blue Ribbon Commission for Onsite Non-potable Water Systems is comprised of 30 representatives from municipalities, public health agencies, water utilities, and national organizations who are leading the industry in onsite non-potable water systems. Commissioners serve a two-year appointment for the duration of the project. Scott Abbott has worked for the Environmental Health Division of the County of Los Angeles, Department of Public Health for 23 years. He is currently the Manager of the Environmental Protection Branch where he is responsible for overseeing the Cross Connection and Water Pollution Control Program, the Drinking Water Program, and the Land Use Program. He helped write the County’s Guidelines for Alternate Water Sources and the Local Area Management Program for regulation of onsite wastewater treatment systems. He is a graduate from San Diego State University where he earned a BS in Environmental Health and from California State University of Long Beach where he obtained his Master’s degree in Public Administration. 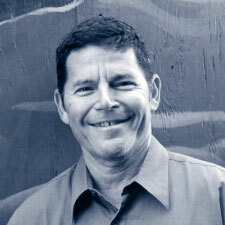 Scott is a Registered Environmental Health Specialist with the State of California. Hardeep Anand has dedicated his engineering career to the advancement of public policy and actions to benefit the environment and the community. 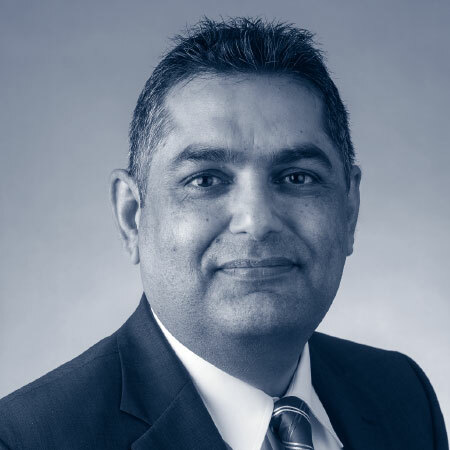 Mr. Anand has over 22 years of professional engineering experience along with a combination of program management and leadership experience in the public and private sectors. As Deputy Director for the Miami Dade Water & Sewer Department (MDWASD), he oversees the implementation of the $13.5 billion Capital Improvement Program for the utility and the execution of large-scale engineering projects, program and construction management, regulatory compliance, integrated master planning, quality assurance, performance auditing and water reclamation. 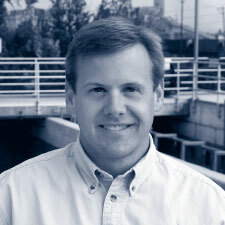 He previously served as a Division Director in a regulatory capacity at the Miami‐Dade County Department of Environmental Resources Management, as Public Works Director with the City of Fort Lauderdale, and as an engineering consultant over a variety of utility, stormwater, environmental, solid waste and information technology projects. Mr. Anand is a registered professional engineer in the State of Florida and holds a Bachelors in Civil Engineering, Masters in Civil Engineering and a Masters in Management of Information Systems. He serves as a board member of the Water Environment & Reuse Foundation and is also the founder of the Resilient Utility Coalition. 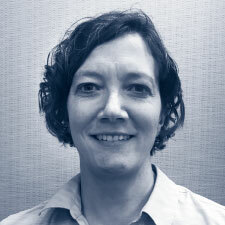 Anita Anderson has 20 years of experience as a water supply engineer with the Minnesota Department of Health. Her primary area of expertise is surface water treatment, specializing in small systems. Currently she is working on special projects to implement water reuse in Minnesota in a safe and sustainable way and to predict the vulnerability of groundwater drinking water sources to microbial pathogens. She holds a Master’s degree in Environmental Engineering from the University of Minnesota and is a registered professional engineer in Minnesota. Julienne Bautista is an environmental engineer for the District of Columbia’s Watershed Protection Division. She is the project manager leading the updates to the 2013 Stormwater Guidebook where rainwater harvesting is an instrumental best management practice to meet the District’s retention obligations and Municipal Separate Storm Sewer (MS4) permit requirements. She received a Master’s degree in Environmental Engineering from Stanford University and a Master’s in Community and Regional Planning from The University of Texas in Austin, giving her the technical and community-based skills to pursue her passion for water. Specifically, her primary interests lie in the promotion and development of sustainable water systems for urban communities. Brian Bernados has served on the California State Water Board (formerly Department of Public Health) for over 23 years. 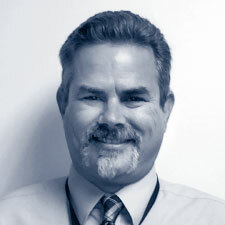 As a Technical Specialist, Brian has expertise in alternative technology, advanced technology, RO/AOP, UV disinfection (potable, recycled & reuse), recycled water, groundwater recharge, surface water augmentation, direct reuse, seawater desalination, and water treatment additives/components. In this role, he also works on recycled water, water reuse via groundwater recharge, surface water augmentation, direct potable reuse feasibility, and alternative technology acceptance. He holds a Master of Science in Civil Engineering with emphasis on water, environmental, and public health from San Diego State University and a Bachelor of Science in Civil Engineering from the University of Pittsburgh. He is a registered Professional Engineering with the State of California. Steve Deem is a professional engineer representing the Washington State Department of Health drinking water program. Deem is also a consultant for Water 1st International, a non-profit water and sanitation development organization. His more than 25 years of experience in water and sanitation issues encompasses a myriad of settings–from the Kurdish refugee camps in Northern Iraq to post-war rehabilitation in Bosnia and Herzegovina, and from simple pipe networks in the slums of Dhaka, Bangladesh, to research efforts on ultraviolet disinfection with the Water Research Foundation. He received his Master of Science degree in environmental engineering from the University of Washington in Seattle and his Bachelor of Science degree in civil engineering from Marquette University. 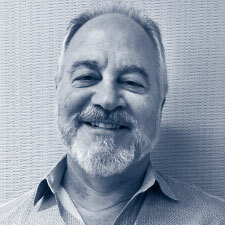 Ron Doughten has over 17 years of regulatory experience with the Oregon Department of Environmental Quality. 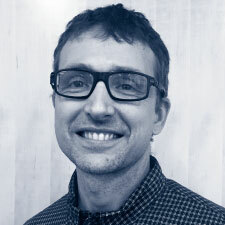 He currently manages Oregon’s Water Quality Permit Program, which includes National Pollutant Discharge Elimination System (NPDES) permitting, stormwater management, water reuse, land treatment, and underground injection control. He previously coordinated implementation of Oregon’s water reuse program that encouraged the beneficial use of graywater, recycled water, and industrial wastewater. In 2009, he developed implementation policies for recycled water; in 2011 he led the adoption of Oregon administrative rules for graywater reuse which was followed in 2012 by development of Oregon’s graywater permitting program. Jon Eaton is the Superintendent of Utilities for the City of Eagan, the ninth largest city in Minnesota. He manages the water, sanitary, and storm systems, and cellular leasing. Prior to Eagan, he was the Water Quality Supervisor for the City of Bloomington, Minnesota and managed water production and treatment, wholesale water purchases, distribution water quality, and the William Lloyd / Tri-City Analytical Laboratory. 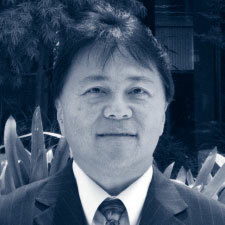 He has been a member of AWWA for over 20 years, is currently one of six vice-presidents. He was honored with AWWA’s George Warren Fuller Award in 2008 and the Minnesota Section’s Leonard N. Thompson Award for Distinguished Service in 2013. He graduated with a Bachelor’s degree in chemistry from the Institute of Technology at the University of Minnesota Twin Cities Campus. 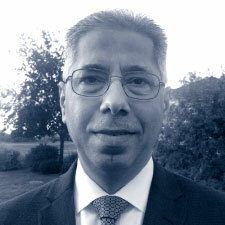 Mamdouh El-Aarag is a registered professional Civil Engineer in the State of Washington. He has worked as an Environmental/Reclaimed Water Engineer in the Wastewater Management program with the Washington State Department of Health in Spokane since 2002. Prior to working for the Department of Health he worked as a consulting engineer for 14 years specializing in site utilities, municipal sewer and water distribution design, and land use. He holds a Bachelor of Science degree in Civil Engineering from Gonzaga University. Samir Elmir is the Division Director of Environmental Health and Engineering at the Florida Department of Health Miami-Dade. Radhika Fox is the Chief Executive Officer of the US Water Alliance, a national nonprofit organization advancing policies and programs that build a sustainable water future for all. Radhika has over 20 years of experience in developing policies, programs, and issue-based advocacy campaigns. Radhika previously directed the policy and government affairs agenda for the San Francisco Public Utilities Commission, which is responsible for providing 24/7 water, wastewater, and municipal power services to 2.6 million Bay Area residents. She also served as the Federal Policy Director at PolicyLink, where she coordinated the organization’s policy agenda on a wide range of issues, including infrastructure investment, transportation, sustainable communities, economic inclusion, and workforce development. She holds a B.A. from Columbia University and a Masters in City and Regional Planning from the University of California at Berkeley where she was a HUD Community Development Fellow. 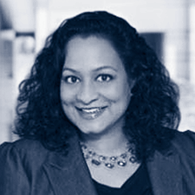 Radhika also serves as a Health Equity Fellow and on the board of PolicyLink. Dr. Jay L. Garland joined the EPA in 2011 as a Division Director within the Office of Research and Development. His work is committed to the development of sustainable systems using sound ecological principles and innovative technology. He received a Ph.D. in Environment Science from the University of Virginia and spent over 20 years working on NASA’s efforts to develop closed, bioregenerative life support systems for extended human spaceflight. NASA recognized him for creative technology innovation on 4 separate occasions. He has authored over 100 scientific papers on a range of topics, including methods for microbial community analysis, factors affecting survival of human associated pathogens, and various biological approaches for recycling wastes. 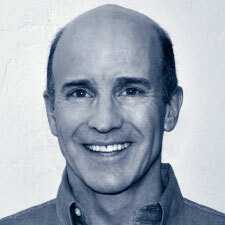 Brian D. Good serves as Chief Administrative Officer for Denver Water. In this role, Brian leads a diverse team whose primary focus is to provide excellent internal service to the organization. Areas of focus include safety, security, emergency management, environmental compliance, sustainability, purchasing, contract control records and printing, and recreation at Denver Water facilities. His previous roles at Denver Water include Director of Operations and Maintenance, Deputy Manager of Organizational Improvement, Water Recycling Plant Supervisor, and Assistant Supervisor of the Marston Water Treatment Plant. Prior to joining Denver Water, Brian managed source of supply, water treatment, and distribution operations for the Champaign, IL Division of Illinois American Water Corporation. Since 2012, he has also been a lecturer on water utility management for the University of Colorado, for which he co-authored a companion textbook titled The Effective Water Professional. Bill Griffith is Project Manager for Alaska Water and Sewer Challenges at the Department of Environmental Conservation, Division of Water. Debbie Griner is the Sustainable Initiatives Coordinator for the Miami-Dade Water and Sewer Department. Bret Icenogle is the Engineer Section Manager for the Water Quality Control Division of the Colorado Department of Public Health and Environment. Prior to joining the State of Colorado, he worked as a water and wastewater engineering consultant and project manager. He holds active professional engineering licenses in California and Colorado and earned a Bachelor of Science in Agricultural Engineering and a Master of Science in Civil Engineering from the University of Delaware. Mark Jaeger has worked for Seattle Public Utilities since its inception in 1997 in a variety of positions up to Executive Management. He has a broad background in a variety of utility functions including Finance, Operations and Planning. Current work includes interagency coordination with both public and private groups and agencies to improve project coordination across the City. This work includes collaborating with project proponents looking to incorporate decentralized strategies into their projects. He has worked on projects like the Bullitt Foundation’s “Living Building”, the new Amazon Campus in downtown Seattle, and the proposed Seattle Arena in the Stadium District. Mark has also worked with the Seattle 2030 District and Seattle’s Capitol Hill Neighborhood Eco-District to bring regulators, developers and utilities together to identify appropriate strategies that leverage and integrate off the grid systems with SPU’s existing large systems resulting in a more robust and resilient system. Dr. David Lipsky has been working as a manager for the New York City Department of Environmental Protection since 1996 and has over 40 years of experience as an environmental professional. For the past several years, he has been a Senior Policy Advisor to the Bureau of Sustainability and helps provide expertise and guidance on policy and planning projects including those on stormwater management, demand management and water reuse, water conservation and water resource protection. His prior experience as a Division Chief for the Bureau of Water Supply has provided him with a broad background managing a variety of water utility operational, compliance, laboratory, science and research functions pertaining to both watershed/water supply management as well as distribution system concerns. 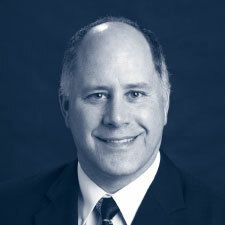 Dr. Lipsky has extensive experience in risk assessment and in environmental investigations having started his career ias a research scientist for the NJDEP, and with substantive experience working for public and private sector clients in Superfund, RCRA, and hazardous waste multi-media site investigations. 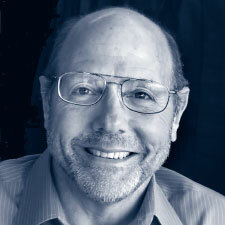 Dr. Lipsky received his Ph.D. in Biochemistry from SUNY-Stony Brook in 1978. He is certified as a Qualified Environmental Professional (QEP) and Board Certified Environmental Scientist (BCES). 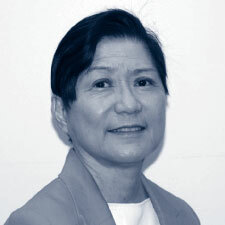 Josina Wing Morita is Commissioner of the Metropolitan Water Reclamation District of Greater Chicago. She is the first Asian American elected to a countywide board in Cook County, the second largest county in the country. Josina holds a B.A. in Sociology and International Race Relations from Pitzer College and a Masters in Urban Planning and Public Policy from the University of Illinois at Chicago. 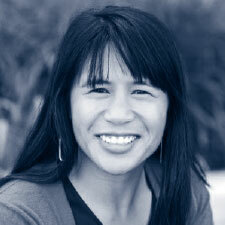 She currently serves on the boards of the Woods Fund of Chicago and the Asian American Action Fund of Greater Chicago. 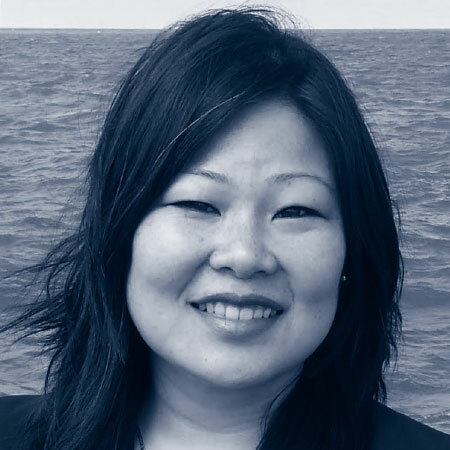 She sits on the State of Illinois’ Racial Profiling and Data Oversight Board, Asian American Employment Plan Council and Cook County’s Asian American Advisory Council. As the principal of JM Consulting, she provides structural racism training and racial equity support to nonprofit organizations across the country. In 2007, she was named one of the top 35 leaders under 35 fighting racism and poverty in Chicago by the Community Renewal Society. Fatima Ochante is Program Coordinator for Alaska Water and Sewer Challenges at the Department of Environmental Conservation, Division of Water. 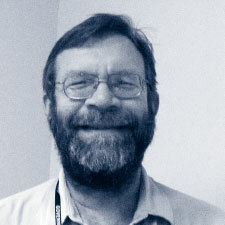 Martin Page has served as a researcher and program manager within the US Army Engineer Research and Development Center since 2010. He has provided technical leadership on technology development programs focused on gray water recycling; direct potable reuse technology integration; validation methods for water reuse systems; and new materials and methods for water treatment. Martin has received several awards for his research efforts, including two Army Achievement Medals, the Commander’s Award for Civilian Service, and ERDC CERL’s Researcher of the Year (2016). Martin is an active member of the Interagency Water Treatment Working Group (WaTr) and the National Science and Technology Council’s Subcommittee on Water Availability and Quality. 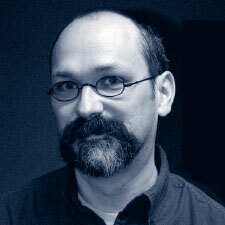 Martin received his Ph.D. in Environmental Engineering from the University of Illinois in Urbana-Champaign in 2009. For the past 23 years, Sina Pruder has worked for the Hawaii State Department of Health, Environmental Management Division, Wastewater Branch where she currently holds the position of the Engineering Program Manager, overseeing projects like the Water Reuse Program. She has been an advocate for the use of recycled water, provided that public health and water resources are not compromised. She is also a firm believer that water is a valuable resource that must be used as efficiently as possible. Sina has worked for the Pearl Harbor Naval Shipyard for four years, in the fields of Nuclear and Environmental Engineering. 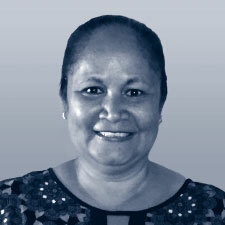 She is currently registered as a licensed Professional Engineer in Civil Engineering for the State of Hawaii. She obtained a Bachelor of Science degree in Mechanical Engineering from the University of Hawaii. 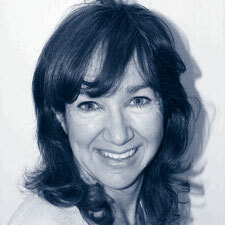 Genevieve Salmonson is the Department of Health Environmental Compliance Ombudsman. The office is involved in activities such as giving presentations to business and trade organizations, conducting workshops for target industries, responding to request for information or clarification, and working with businesses to remedy minor violations involving environmental issues. Other services include conducting voluntary site assessments of a business’ compliance with applicable environmental regulation and assisting businesses that have exhausted readily-available dispute resolution mechanisms within the Department of Health. Neal Shapiro is the Senior Sustainability Analyst and Watershed Management Coordinator for the City of Santa Monica’s Office of Sustainability & the Environment, and an Envision™ Sustainability Professional, Certified Professional in Stormwater Quality (CPSWQ) and a Certified Stormwater Manager (CSM) and Inspector. 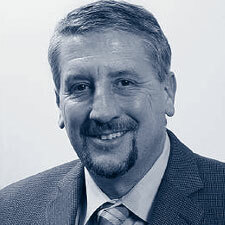 He is a Member of the Water Efficiency & Sanitation Standard Technical Committee of the International Association of Plumbing & Mechanical Officials (IAPMO), on the Editorial Board of Watershed Science Bulletin, and a former Director and Secretary on the Board of Directors for the American Rainwater Catchment Systems Association. He oversees watershed management programs, all geared to reduce water pollution and use our precious, limited water resources in a sustainable manner (with a focus on rainwater/stormwater harvesting and use/reuse in association with post-construction structural Low Impact Development BMPs). He has been with the city since March 1999. Neal worked previously with The Jacques Cousteau Society, researching global water issues for films, books, policies, and expeditions. Neal attended the University of Delaware, receiving a Master’s in Marine Policy, and the University of California at Santa Barbara, receiving a Bachelor’s in Aquatic Biology. Robert is a Conservation Program Specialist employed at Austin Water. He has worked on numerous disparate projects, including auxiliary water and intergovernmental issues, over the last eight years as a member of Austin Water’s Conservation Division Research and Special Projects team. Robert received a Bachelor of Science in Geography, specializing in Resource and Environmental Studies, from Texas State University. Wing Tam is the Assistant Director of Watershed Programs for LA Sanitation for the City of Los Angeles. In this role, he is responsible for stormwater management and watershed protection programs, facilities, advance planning, and water quality compliance. Wing directs the Green Stormwater Infrastructure Program that includes Rainwater Harvesting, Green Streets, and Clean Water Bond. A leader in the development of green infrastructure, urban runoff and stormwater management for over 25 years, Wing has led first integrated, multi-purpose green solutions designed to improve water quality, water supply, flooding, habitat, and open space creating healthier and sustainable communities and his work has been recognized by USEPA, NACWA, WEF, CEWA, APWA, and other organizations. A Registered Professional Engineer, Wing holds Bachelor and Master of Science degrees in Civil Engineering with emphasis in Water Resources & Environmental Engineering. 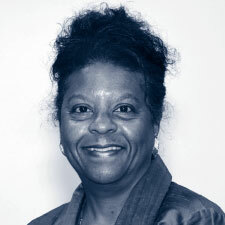 Jacqueline E. Taylor, MPA is a Registered Environmental Health Specialist and has over 30 years of experience in the field of Environmental Health. She has managed and directed environmental health programs in one of the largest, most diverse, and progressive environmental health departments in the nation. Her extensive and multifaceted work experience has involved policy development and regulatory oversight in the disciplines of food and housing protection, water and wastewater resource management, recreational water and beach monitoring, cross connections and water pollution control, land use planning, solid waste management, radiation management, lead poisoning prevention, staff development, and program planning. Currently, she is the Director of the Bureau of Environmental Protection in the County of Los Angeles, Department of Public Health. In addition to her professional career, Ms. Taylor has had hands-on volunteer experience in the field working to better the lives of those affected by environmental and natural disasters. 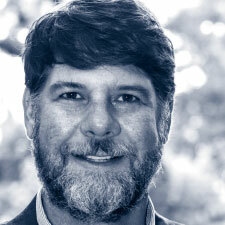 Chris Wanner is the Director of Operations for the Portland Water Bureau. He is responsible for the management of operations and maintenance of surface and groundwater supplies, including treatment, transmission, storage, distribution, pump stations and tanks, system analysis, security and the SCADA system. Since 1984, he has held various Bureau positions. He is the designated Direct Responsible Charge for the bureau with the State of Oregon and holds certifications for both Water Distribution (WD4) and Water Treatment (WT4). Chris currently serves on the State’s Drinking Water Advisory Committee and is Vice-Chair of ORWARN and a member of AWWA, IWA and WEF. He has worked on many facets of asset management including participating in Water Services Association of Australia benchmarking and Leading Edge of Strategic AM efforts. Dr. June Weintraub is Manager of Water, Noise and Medical Cannabis Regulatory Programs for the San Francisco Department of Public Health. She has developed a strong program of research, education and collaboration with San Francisco’s water utility to address diverse issues including water security, quality, assessment, monitoring, allocation, reuse, conservation and sustainability. 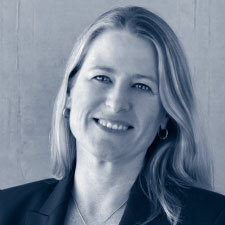 She was a principal collaborator in the development and implementation of San Francisco’s regulatory program for onsite alternate water source systems for the safe use of alternate water sources for non-potable purposes. She has served on several advisory committees including the U.S. EPA's National Drinking Water Advisory Council, and is currently appointed to the U.S. EPA Science Advisory Board Drinking Water Committee. She received her Doctoral degree in Epidemiology with minors in Environmental Health and Biostatistics from Harvard School of Public Health; her Bachelor of Science and Master of Science in civil engineering are both from Tufts University. She is also a Registered Environmental Health Specialist.